Soon Willow will be baking in the sun rather than roasting in front of the fire. She loves to be warm! 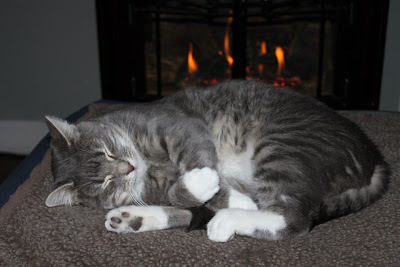 Pretty Willow..We'd love to come and snuggle with you in front of the fire! What a DARLING image. What life should be like for every cat... a lovely warm and safe spot to snuggle.